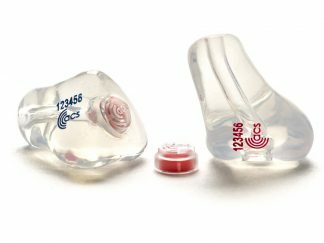 Pacific Ears specialise in custom made hearing protection for a wide variety of workplaces – from factories, warehouses and building sites to airports, aircraft personel, fire stations and military bases. Hearing protection is required in any working environment where the average noise exposure is over 85dB, and our PRO Series ear plugs provide the correct protection for almost any industry sector. 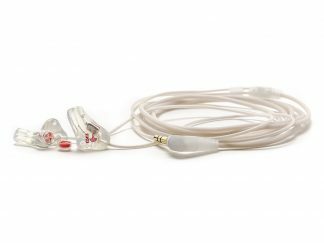 The PRO Series ear plugs comprise two important elements – Custom fit moulded plugs and sound attenuating filters. 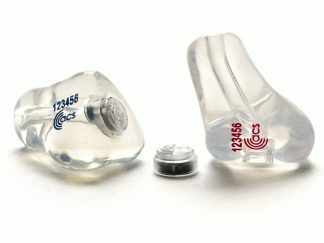 The attenuating filters fitted to our ear plugs reduce sound to safe levels without causing muffling, so the wearer can hear safely and clearly while being protected from dangerous sound levels. Additional options are also available, including ‘grips’ to aid insertion and removal of the plugs and neck cords We can laser etch the plugs with users names or serial numbers etc for easy identification. 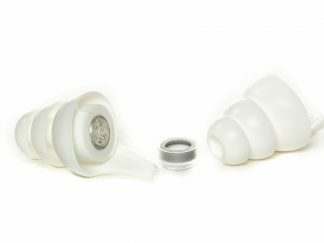 Our earplugs can also be made in a range of different colours and can be fitted with metal detection balls for the food and pharmaceutical industry. 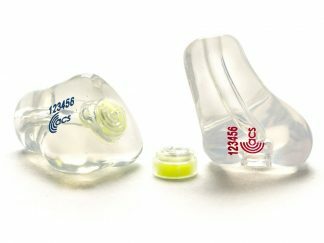 PRO Series ear plugs also offer the cost and environmental benefit of being re-usable – while one or more pairs ofdisposable plugs can be used and discarded every day by each person, one pair of ACS ear plugs can last for years. We can service every corner of the country. Depending on quantities, we can either organise local fitting or come on site to do the fitting. Please feel free to email or call us to discuss your specific requirements. 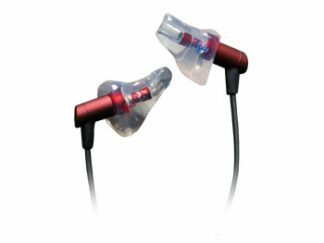 The strongest filter in the PRO series range giving you complete protection even in the most severe of environments with integrated high fidelity speakers.